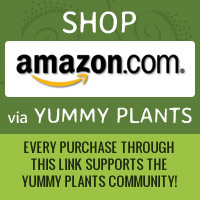 Searching for yummy vegan desserts? This delicious vegan, gluten-free strawberry pie recipe was shared by Chef Sarah Elise from The Inspired Cookie in San Francisco. Thanks Sarah Elise! Tips: Finish this delicious dish within two days because the liquid content of the filling will make the crust become soft by the second day. *For a “live” crust, see our chocolate pie recipe – use the recipe for the crust and omit the cinnamon. 1. Place 1 quart of the strawberries, the sugar and cornstarch into a medium sauce pan on low heat. Mash the strawberries with a potato masher. 2. Add the rest of the ingredients and stir constantly over medium heat while the mixture is thickening. The mixture will become very thick and have a clear sharp red color in about 15 minutes. Turn off the heat and set aside. 3. Cut the caps off of the other quart of strawberries and place them in the precooked pie crust, flat side down, so that they completely cover the bottom of the crust. 4. Pour the cooked strawberry sauce on top of the raw strawberries. Cool for at least 3 hours before devouring. Optional: the pie can be topped with a non-dairy topping, if you like, just before serving. 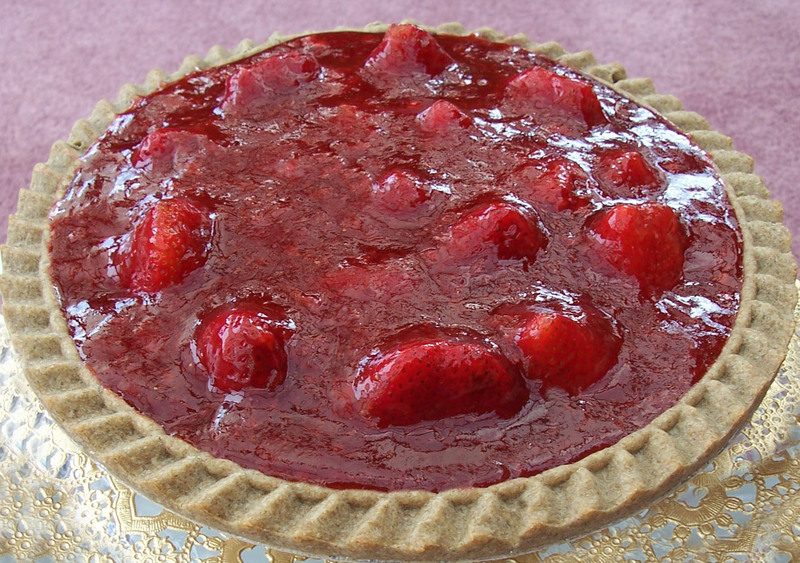 Let us know what you think of this easy vegan recipe: Vegan Strawberry Pie! This looks absolutely delicious! I will have to try making this with the live crust! As someone with Celiac who is gluten free/dairy free I really appreciate your recipes!